This free eBook, 18 Amazing Microlearning Formats For Employee Training That Will Help You Enhance Your Training Strategy, offers insights on how you can use microlearning for formal training, for performance support intervention, and to support ILT. In the recent past, there has been a lot of buzz on the challenge of dwindling attention spans. Many of you may have read about a Microsoft study that pegs the human attention span to a measly 8 seconds. A point to note is that the goldfish has an attention span of 9 seconds! While I do not necessarily buy this data, the fact remains that the challenge of dwindling attention spans is very real. Furthermore, today’s workplace demands multi-tasking like never before, and we have competing priority tasks vying for our attention. Given this, the focus on training often competes with higher priority tasks and, thereby, its timely completion is low. Microlearning for employee training provides a great option to address the challenge of dwindling attention spans. 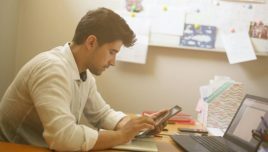 When delivered in the mobile learning format, it provides flexibility to learners to fit in micro-training sessions on the go and, therefore, microlearning for employee training shows a higher completion rate. Given the fact that microlearning nugget-based learning paths feature diverse formats, the engagement factor with learners is significantly higher for microlearning for employee training than traditional eLearning (or macrolearning). It comes as no surprise that in the last 2–3 years, microlearning for employee training has emerged as an effective approach that L&D teams can use to offer high-impact online training. Today, you are spoilt for choice on the various types of microlearning that you can use for both formal and informal trainings. This is not all; you can use microlearning to supplement your Instructor-Led Training (ILT) too. This eBook showcases 18 microlearning formats that you can use for employee training (for both formal and informal training) to meet your mandate. I have structured the eBook, 18 Amazing Microlearning Formats for Employee Training That Will Help You Enhance Your Training Strategy, as a guide to provide insights on microlearning for employee training and how exactly you can enhance the impact of your training through this technique. The featured 18 examples will help you in providing practical cues on how you can use microlearning in your organization to create a higher impact online training. I begin with the basics of what microlearning is and what benefits it offers for employee training. 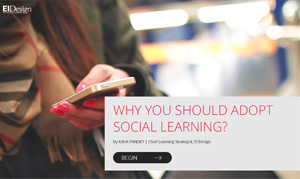 Then, I outline why the adoption of microlearning is gaining momentum and why it must be an integral part of your online training delivery. I share 18 examples of how you can use microlearning-based training to offer formal training, performance support (learning aids/job aids), and to supplement your ILT. 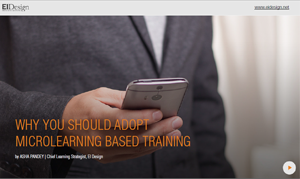 Do read this eBook, 18 Amazing Microlearning Formats for Employee Training That Will Help You Enhance Your Training Strategy. How “micro” can you go with microlearning? What is the relevance of microlearning today, and why is it the flavor of the season? What are the ways or formats to use microlearning to make your training more effective? I wrap up the eBook with 18 examples of microlearning for employee training delivered in varied formats. Each of these can be potentially used to offer formal training, for performance support intervention, or to supplement your ILT. 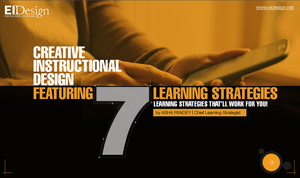 This section provides the basics of microlearning. Besides providing the definition of microlearning, it also outlines what is not microlearning. It touches upon the related query that you may have, that is, how “micro” can you go with the microlearning technique. 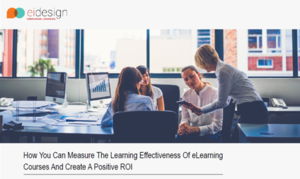 It wraps up with the key benefits that microlearning for employee training brings in for the learners as well as the business. This section outlines the significance of microlearning for employee training today and why it is the flavor of the season. It also touches upon the reasons that trigger the faster adoption of microlearning for employee training. 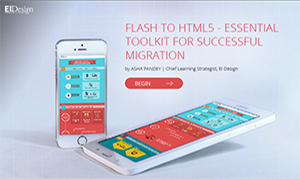 This section focuses on the application of microlearning for employee training. 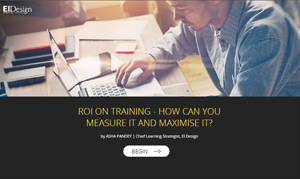 It showcases how you can use microlearning to address varied corporate training needs. It touches upon a crucial aspect, that is, when is microlearning for employee training not the right fit. 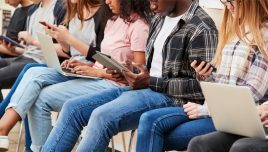 It also highlights how microlearning is not just for the millennial workforce, but it has its appeal for all learners. 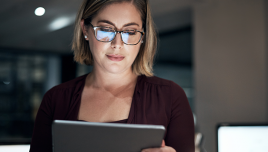 This section outlines the ways or formats to use microlearning for employee training to make your online learning experience more effective. 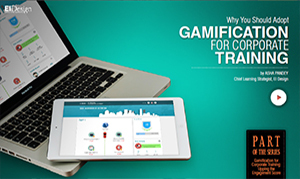 Specifically, it shows you 18 distinct formats that you can use to uplift your current online training strategy. Do download this free eBook, 18 Amazing Microlearning Formats for Employee Training That Will Help You Enhance Your Training Strategy, and use it to successfully enhance the impact of your corporate training. The eBook is designed as a micro guide to help you adopt microlearning to enhance your existing online approach. Do download the eBook: 18 Amazing Microlearning Formats for Employee Training That Will Help You Enhance Your Training Strategy.